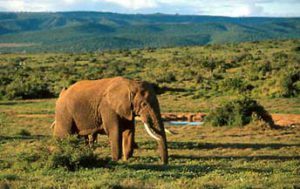 Stay in the Kruger National Park – “If you want to see the ‘big five’ this is the place to go – safari country at its best. This one of the most famous national parks in the world and the oldest one in Africa”. Spend time exploring the scenically spectacular Panorama Route and take part in open vehicle game drives in the park at night and during the day. 1 Ohrigstad Mpumulanga Hannah Lodge: Good chalets on a private game reserve with own bathroom and restaurant. 2 Kruger National Park Satara, Lower Sabie, Skukuza, Bergendal: Kruger Park Camp Chalets with own bathroom and restaurant. 3 Kruger National Park Lower Sabie, Skukuza, Pretoriuskop, Bergendal Camp: Kruger Park Camp Chalets with own bathroom and restaurant. A compact holiday for those short of time. Privately guided tours for a minimum of five people (also offered with a surcharge for two). Visits to the scenic highlights of the Panorama Route. All entry fees and meals included as per itinerary. Night drive and full day game viewing in open vehicle in the Kruger Park with the opportunity to see The Big Five. Overnight accommodation in Johannesburg at the start or completion of the tour can be arranged on request. Travel out of Johannesburg on the N4 towards Maputo, bypass Middleburg and near Belfast we detour from the freeway. We pass through Dullstroom and proceed to Lydenberg which, was established in 1849. The English translation of this name is the ‘Town of Suffering’ and it was named after its founders who had suffered greatly as a result of malaria and floods in the original town of Ohrigstad. From here we take the scenically spectacular Long Tom Pass over the Mpumulanga Drakensberg to Sabie. The pass is 57 km long with a summit of 2149 metres. The origin of the pass goes back to 1871 when a wagon track was built to connect Lydenberg with Lourenco Marques (Maputo). In September 1900, the British recaptured Lydenberg during the Anglo-Boer war. The Boers used a 15cm cannon to shell the British and the gun was nicknamed ‘Long Tom’ by the British troops – a name which, has survived to this day. 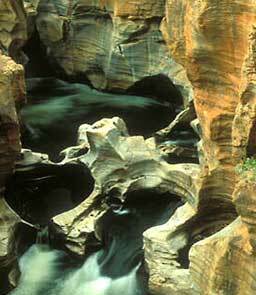 A light lunch is taken en-route in the Sabie or Graskop area and in the afternoon we spend time exploring the scenically spectacular Panorama route visiting sights such as Bourke’s Luck Potholes or Gods Window. In the evening, we arrive at the lodge and dinner is taken in the restaurant. Breakfast is taken in the restaurant. We leave the Drakensberg escarpment via the Abel Erasmus Pass – another scenic route which, drops 800m in its 24km length and includes a 133,5 m long tunnel. There are panoramic views of the Olifants River Valley and the Lowveld. We travel via Klaserie and the Orpen Gate into the Kruger National Park. Expect some superb game viewing as we drive the 50km, through the park. A light lunch is taken en-route or at the camp. Overnight in the tranquil setting of the Kruger Park rest camp. Towards evening we board the open vehicles for a game drive in search of the nocturnal animals – remember to dress warmly and to have a windproof jacket if possible. Dinner is taken at the lodge and is included. Tomorrow is another eventful day so make sure you get your beauty sleep! Our first night in the African bush and we are lulled to sleep by the calls of the wild! A full day today, after an early breakfast in the restaurant. Dress warmly and take hats and sun-creams for later on in the morning. We spend the whole day in the open safari vehicle with the opportunity to see many of the exciting animals, including the Big Five, which Kruger has to offer. The direct distance between the two camps is about 95 km, however, depending on the animals seen and the route taken it could be longer. A picnic lunch and soft drinks are included and taken at one of the rustic picnic sites or camps along the way. The coach will be waiting for you at the overnight camp with your luggage. A leisurely evening and dinner are taken in the restaurant with time to discuss the sightings of the day (an optional extra would be another open vehicle night drive). An early start today and the guide will transfer you to Cape Town Airport in time to make an internal flight to Johannesburg and then onward to your luxury bush lodge in Mpumulanga. On arrival, you will be met by a lodge representative for a road transfer to your bush camp where you will spend the next two days on an all-inclusive basis. Services of a professional qualified SATOUR registered guide.